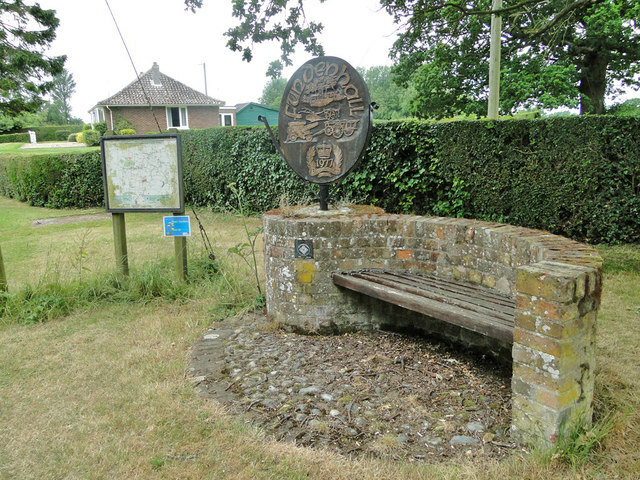 In many parts of southern England an ornamental village sign is erected to announce the village name to strangers and locals alike. They are typically placed along the principal road or in a prominent location such as a village green or close by the church. The design often depicts a particularly characteristic feature of the village or a scene from its history, heritage, or culture. They are typically made of wood or metal or a combination of both, the designs are often made by the local community. At the given coordinates you will find the village sign, use the dateon the sign to find the final coordinates.